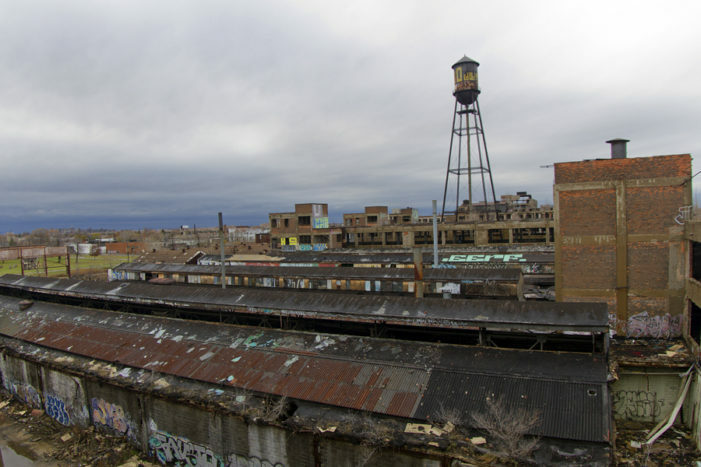 For the first time in decades, someone is paying property taxes on the abandoned Packard Plant. 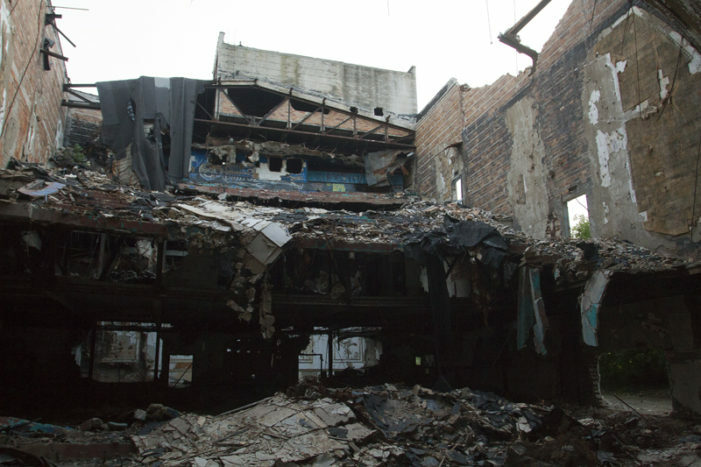 The ornamental, dome ceiling on the long-abandoned Eastown Theatre in Detroit has collapsed as scrappers continue to remove steel beams from the historic movie palace. 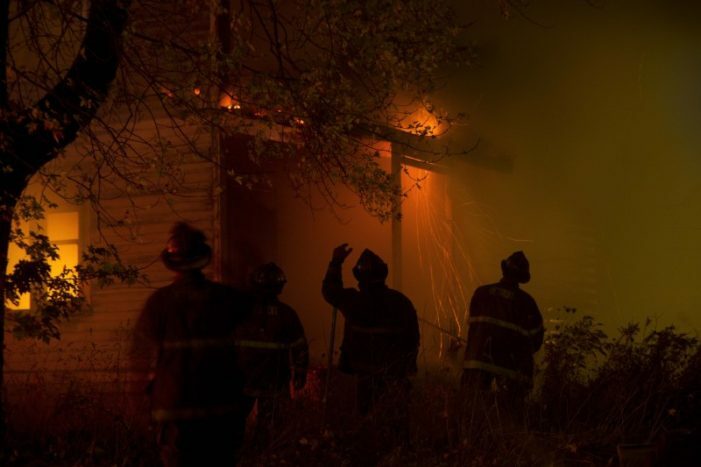 The fires posed a significant challenge to a city dangerously short on firefighters and equipment. 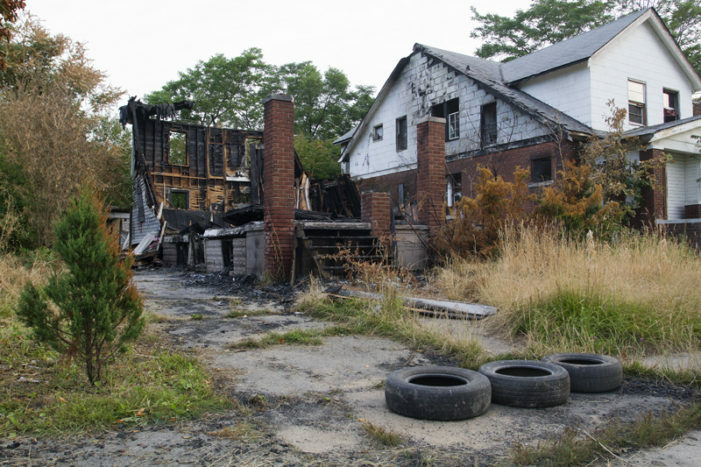 House by house, the remains of an impoverished, blighted neighborhood near the Detroit Golf Course began to go up in smoke. 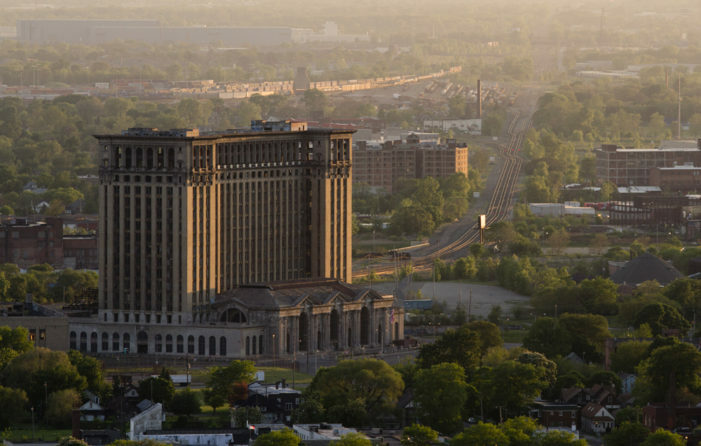 Billionaire Matty Moroun has pledged for years to clean up the Michigan Central Station, one of Detroit’s most iconic symbols of decay. 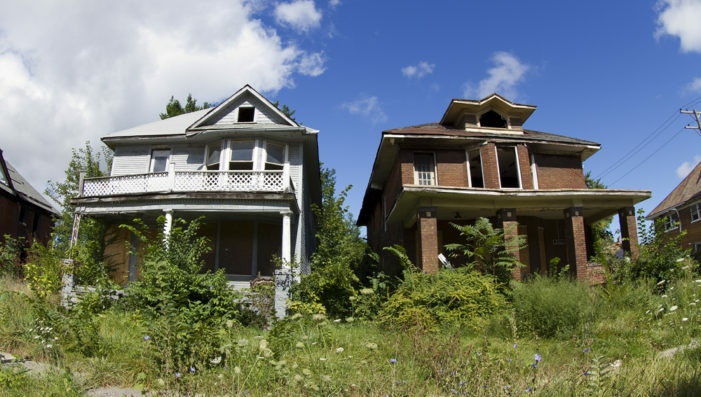 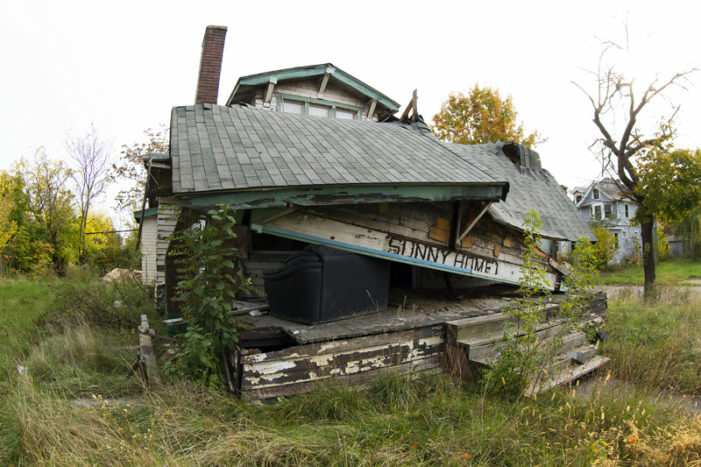 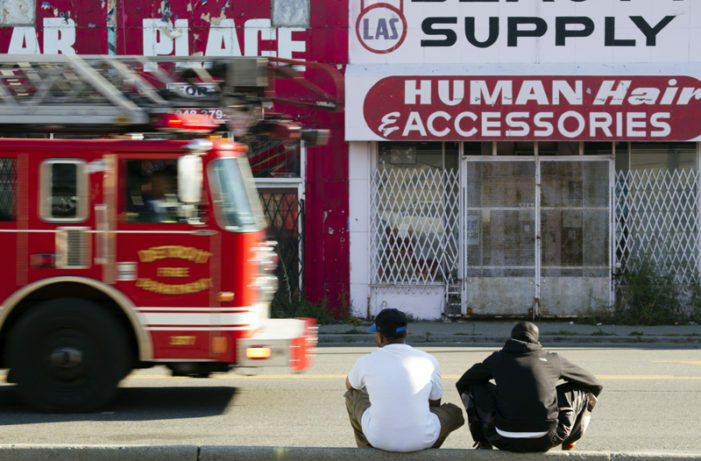 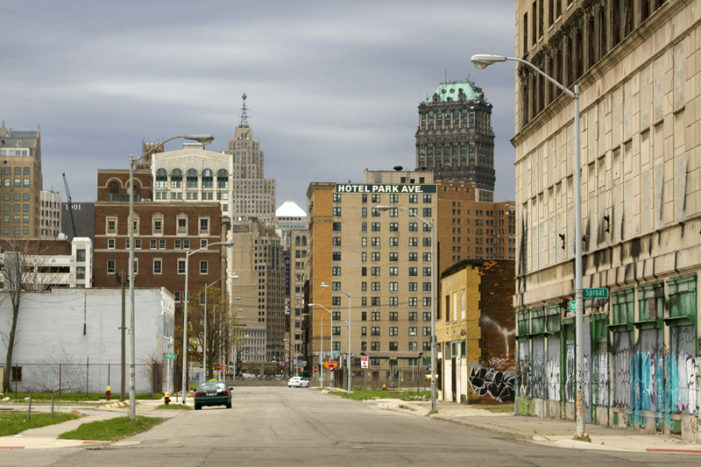 More than a third of the houses and buildings are vacant in eight Detroit neighborhoods. 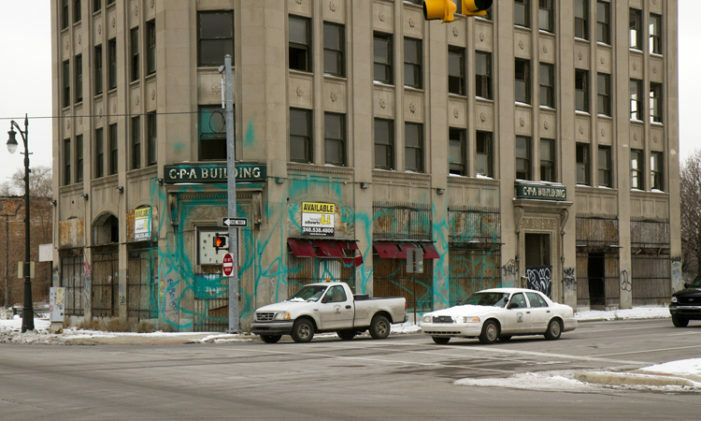 A task force charged with tackling blight released a sobering, unprecedented report today detailing the scope of decay in Detroit.